The 10th edition of London’s Crepe City sneaker festival takes place at the Old Truman Brewery in Shoreditch this weekend. If you’ve attended any of the other 9 Crepe City events you’ll know exactly what to expect, and the CC team have pulled out all the stops to make sure that number 10 is bigger and better than ever. 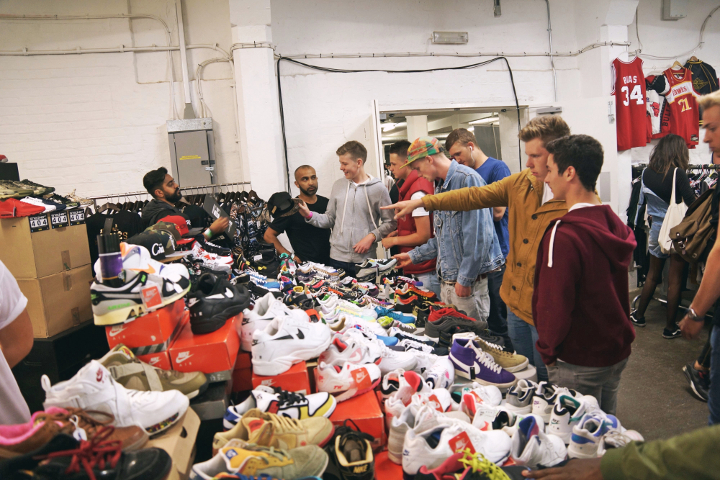 Crepe City exists primarily as a sneaker market, with over 100 traders from across Europe coming together to buy, sell and exchange collectable footwear. Alongside more recent releases, there are always a tonne of vintage runners, OG Jordans and other forgotten gems too, and it would be easy to spend hours hunting through the stacks. 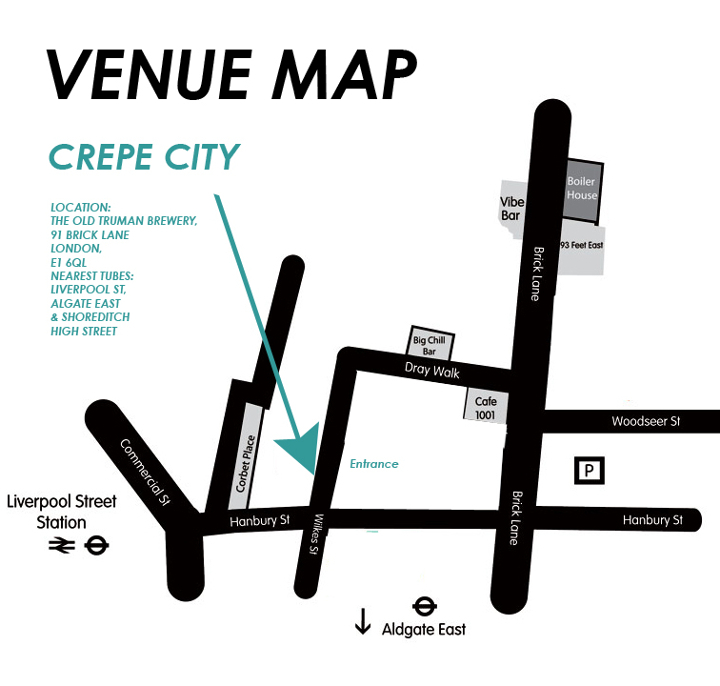 Alongside the main event, Crepe City will also host stalls from a number of streetwear brands and artwork from some very talented sneaker enthusiasts, along with a fully stocked bar and a number of street food stalls to keep you loaded while on the hunt. In addition, Crepe City have also partnered with adidas on a special exhibition celebrating the history of the ZX running series, all centered around the release of the new ZX Flux. The space is situated inside Shop 7, around the corner from the main CC entrance and will be open throughout the day. 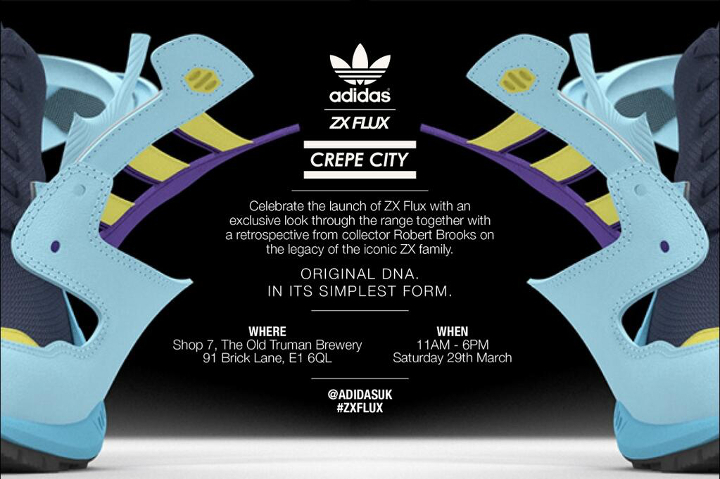 Crepe City will also be offering the chance to win a 1/100 pair of ZX Flux sneakers, based on the OG ZX 8000 colourway, to those in the best adidas kicks on the day. All of the details you need are below. 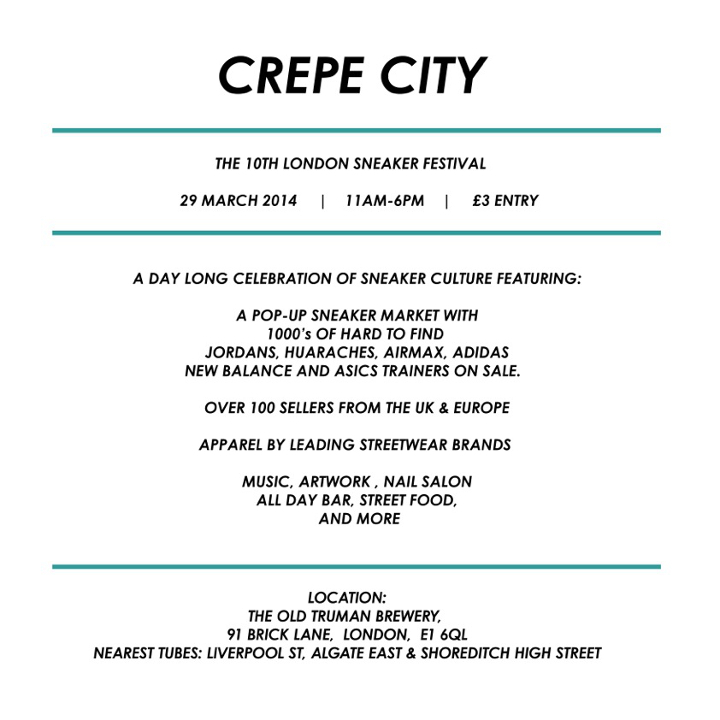 Those who have yet to check out the event can view some of our previous Crepe City content here. EDIT: Head here for a recap of the event.